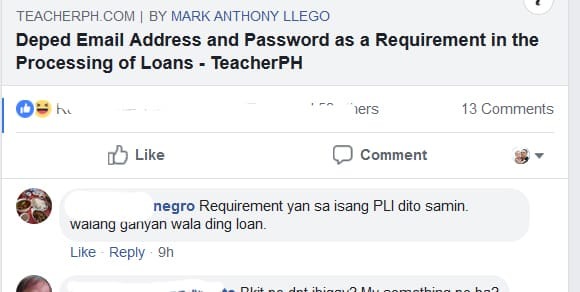 There are reports that some Private Lending Institutions (PLIs) is requiring DepEd personnel (teaching and non-teaching) to submit their email address and password in the processing of loans. Teachers and other DepEd personnel are advised to be aware that personal information such as email address, password, personal numbers, ATM cards and other peculiar personnel information that would identify the person is covered under Republic Act No. 10173 known as the “Data Privacy Act of 2012“. Do not hand out your email credentials just because someone asked for them.